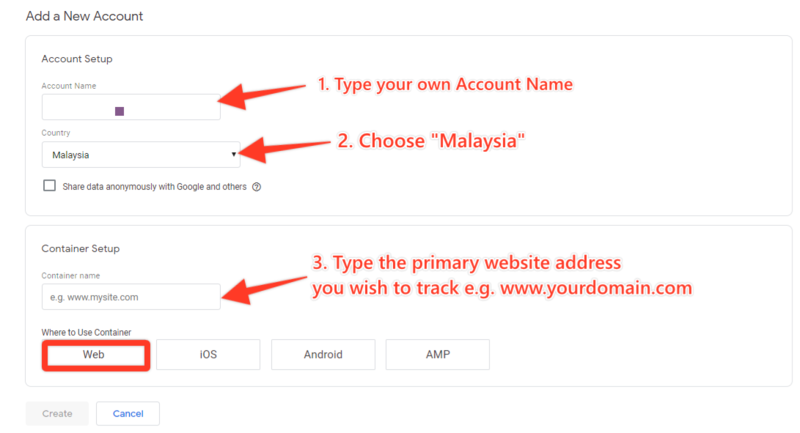 As the name "Google Tag Manager" suggest, it is basically a "Tag Manager" which is a free service provided by Google that help webmasters to collect measurement and marketing data from their own websites or apps. In order to collect such data, you will first need to insert "tags" into your website or app properties. Tags are snippets of code which are added to a website to collect information and send it to third parties (e.g. Google Adwords, Google Analytics, Facebook, Hotjar, Clicktale etc.). You can use tags for all sorts of purposes, including scroll tracking, monitoring form submissions, conducting surveys, generating heat maps, remarketing, or tracking how people arrive at your site. They’re also used to monitor specific events like file downloads, clicks on certain links, or items being removed from a shopping cart. Next review the Terms of Service Agreement document. Click on the Yes button to continue. You shall be immediately shown the pop up box containing the Google Tag Manager snippet that needs to be implemented on your website. Notice there are 2 snippets. The first one shall be placed at <head> while the second snippet in <body> sections. Both snippets must be placed in every page. Congratulations! 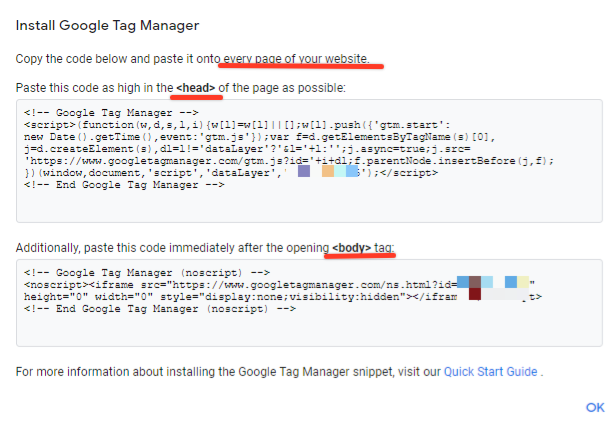 That&apos;s how easy it is to get started with Google Tag Manager!